Good morning and welcome to the Our Savior Muscatine, IA. 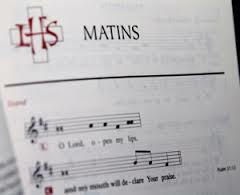 Enjoy this week’s Wednesday Matins Service. It is an ancient morning prayer service with Holy Scripture. In place of a sermon, we hear from the writings of various church fathers. God bless, Pastor Pautz.